The Angel Oak Tree, in Johns Island, SC, stands at 66.5 feet tall, measures 28 feet around, and is estimated to be over 1,500 years old! It's longest branch distance is 187 feet. It derives its name from the estate of Justis and Martha Angel. 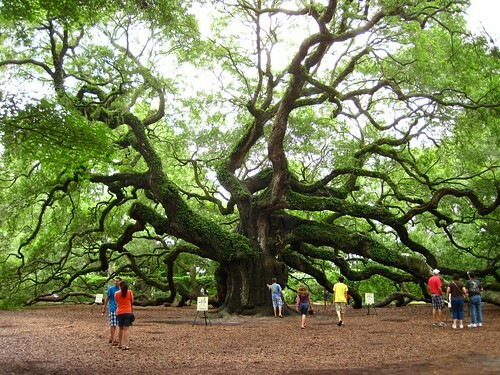 The Angel Oak is considered to be one of the oldest living things in America.